while also providing a safe exit platform. which is built into all sides of the jump. 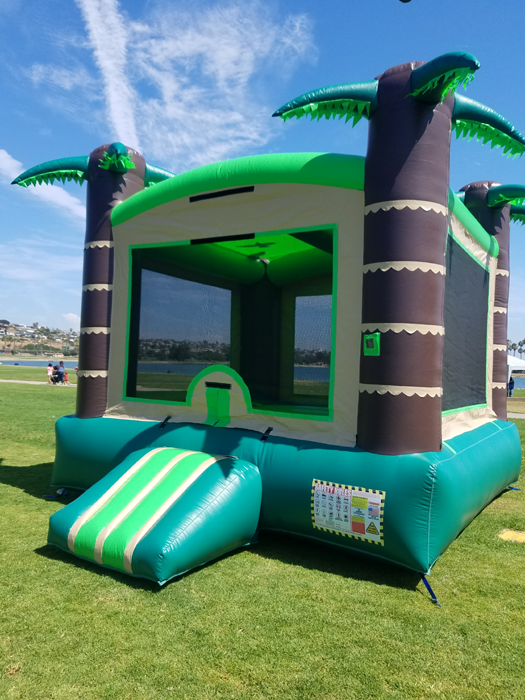 The screen top allows sun protection and keeps the jump fully enclosed. This jump is: 13' x 15' and is designed for 8-10 children. Space requirements are 15' x 18' Minimum . 15' top clearance is needed.